The graceful moves of parkour are about more than showing off. It began in France, and has since spread all over the world. Parkour started as a way of walking; for many, it has become a discipline, a philosophy and even an art form. Now, this discipline of using the world as one’s own personal obstacle course has moved big time into Utah. Parkour—also known as l’art du déplacement, or “the art of movement”—is basically the act of walking along without stepping aside for anything. That includes rocks, walls, even skyscrapers. The guiding concept is for movement to flow like water, but without hesitation or diversion. Some of its more extreme moves, like rooftop jumping between buildings, have been featured in films. Search the keyword “parkour” on YouTube and you’ll find dozens of breathtaking videos. But, for everyday practitioners of parkour, it’s about scaling more down-to-earth terrain, like picnic tables or fences—even just walking along rocks and curbs. Rocco Nicholls, 16, has been doing parkour for two years. “I like the freedom of being able to move around without needing a bike or skateboard. It’s not a sport. The roots of parkour began before World War I, when Georges Hebert, a retired French military officer, visited indigenous tribes in Africa’s backcountry. Amazed by the graceful and fluid way tribe members moved through their environment, he brought their movement style back to France to be used as military training. From there, it soon caught on among the civilian population. The basic moves were just running, jumping and rolling to absorb the stresses of a landing. Another form, which purists argue is or is not parkour, is “free running,” named after the free flow of water. Free runners insert acrobatics into their parkour, doing flips and twists—sort of like James Bond meets gymnastics. There’s even free coaching for newbies. Sean Bigelow hosts a beginner’s parkour session every Thursday at Crestwood Park in Sandy at 1700 E. Siesta Drive (7485 South). Bigelow’s sessions begin at 4 p.m. 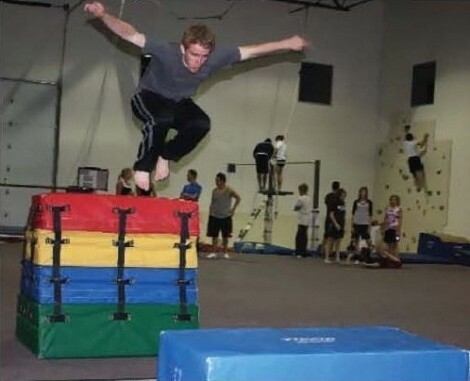 He says parkour will give anyone more self-confidence. Anyone who wants more information can contact him at bigbadbigelow@gmail.com.